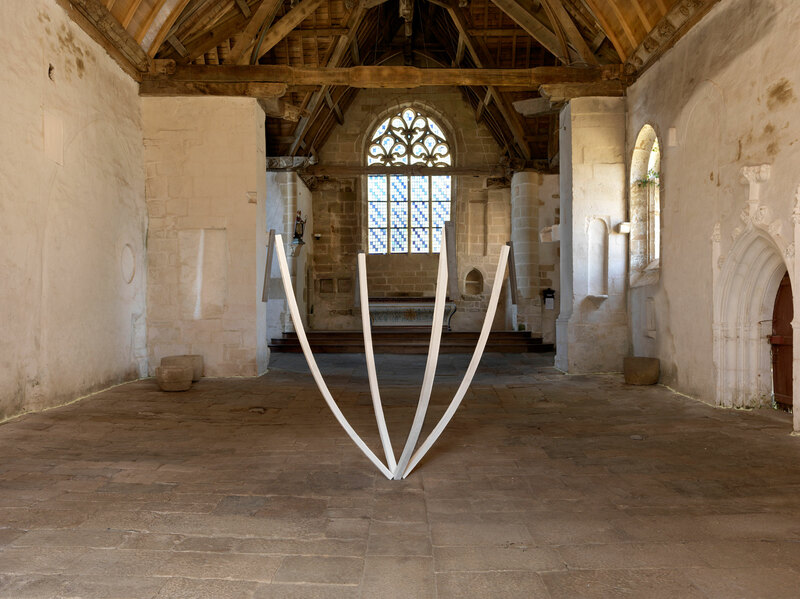 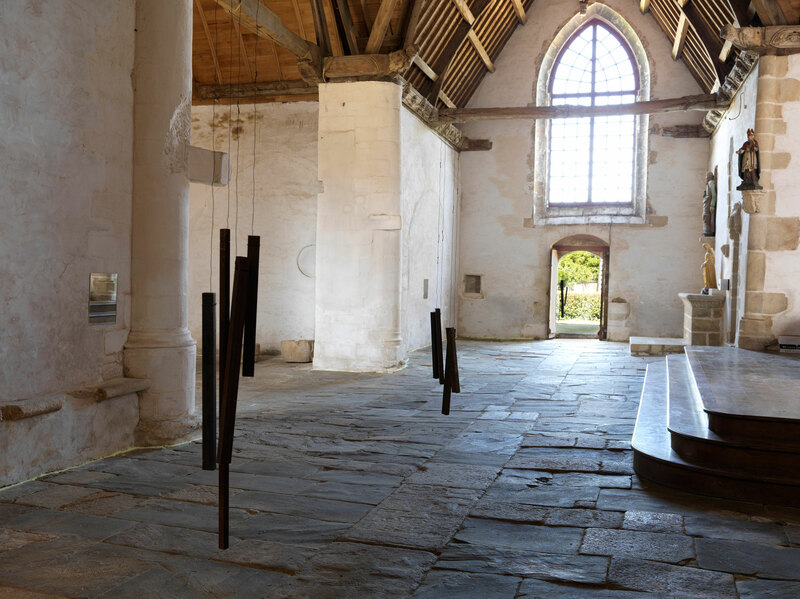 An in-situ installation by Paul Wallach will be presented at the Saint-Nicolas-des-Eaux Chapel in Pluméliau, France (Brittany) for the trail L’Art dans les chapelles from July 3 to September 20, 2015. 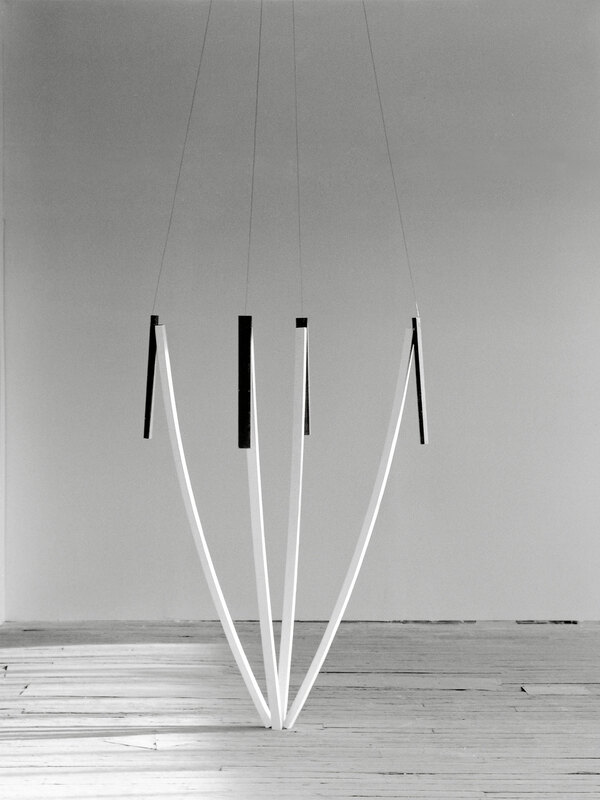 For this site-specific installation entitled “Erster Akt”, Paul Wallach has decided to revisit one of his early works. 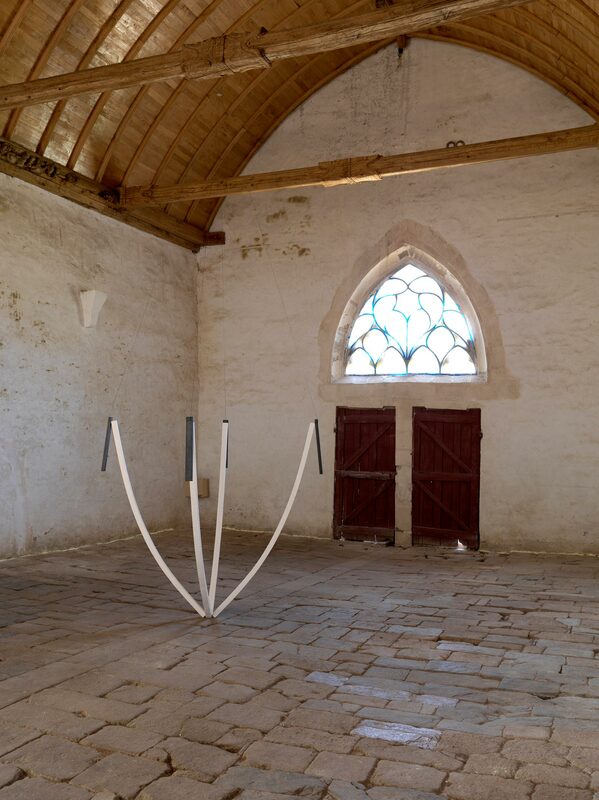 Entitled “La Madeleine”, this work was created after his arrival in France in 1994. 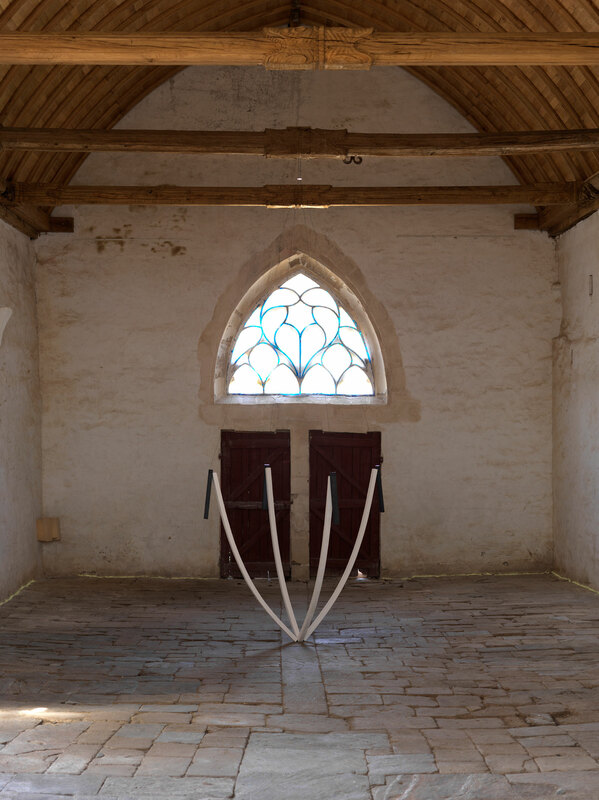 The sculpture is placed as a focal point in the artist’s installation, including new sound elements and yellow pigment, which delicately re-defines the entire scope of Paul Wallach’s project for the Chapel.